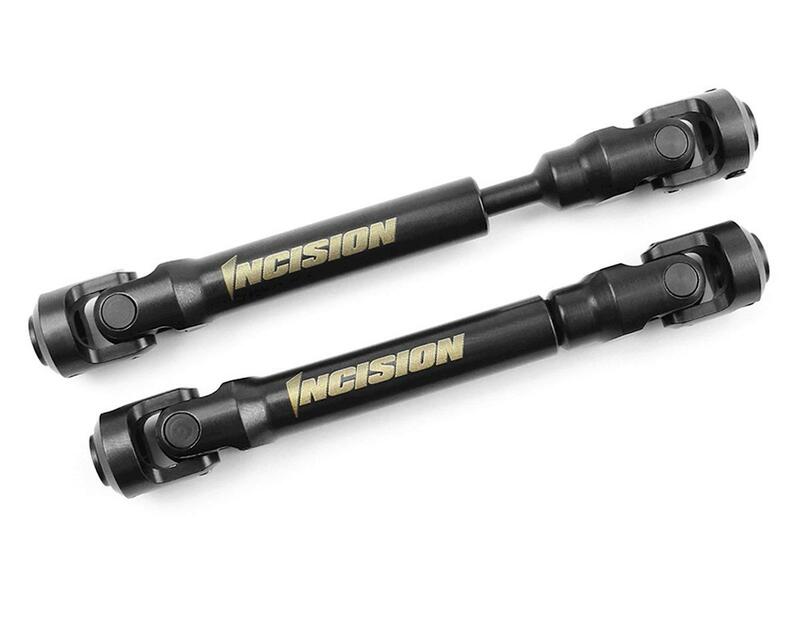 Incision SCX10 II RTR & SCX10 Driveshafts will allow you to improve durability and the scale look of your rig. Hardened steel construction and the ability to install in phase make these a must have upgrade for your 12.3" wheelbase SCX10 and SCX10-2 RTR based build. Installed these on my scx10 ii that is DIG equipped. So far out about 6 miles on these and they have held up just fine.